I leaped into the personal development world with a copy of Tony Robbins’ Personal Power program. You know, the one from those late night infomercials? I was 18, and this audio program made a measurable difference in my outlook and behavior. From that moment onward, I was hooked by personal development. I jumped into whatever interested me. I hopped from seminar to seminar, from book to book. Investing every possible moment I had, I covered a lot of ground in my first five years. Reflecting almost 25 years on my personal growth journey, I now see I was missing several vital ingredients essential for long-term, healthy development. In this guide, I will share with you lessons learned and provide a roadmap for crafting a simple yet powerful Personal Development Plan. When you don’t have a vision, a plan, or a goal, where does your attention go? For most people, attention goes to entertainment and distraction. Sight, sound, and motion captivate our brains. Television shows, films, video games, and social media hook the primitive parts of our brain. If you’re an overachiever who defines yourself by external accomplishments and status, your attention likely gets fixated on more work, higher productivity, and making more money. The primary question when creating a Personal Development Plan is: Where am I going to place my attention and awareness? When entertainment, distraction, and workaholism consume our attention, something doesn’t feel right within us. We may not identify it, but parts of us aren’t happy with this agenda. We may not identify it, but parts of us aren’t happy with this agenda. To have a full and meaningful life requires us to open to more dimensions of ourselves. And a Personal Development Plan can help us do just that. But most people don’t know what’s available. I wasn’t aware of the options when I started my journey. Youthful enthusiasm and naivete guided those early years. Youthful enthusiasm and naivete guided those early years. If you go to self-growth seminars or read books in this genre, you may only think within the confines of the illustrations these resources provide. Step 1 is what’s missing from most people’s approach to personal growth. So we’ll start our journey with a larger vision for human potential. One thing I was missing from my personal development journey was a map of the terrain. How can you navigate through your development without a map? Every good explorer has one. Such a map shines a much-needed light on the diverse areas of our potential. A reliable map of human potential wasn’t readily available in the early 90s. The fields of transpersonal psychology, developmental psychology, integral theory, and neuroscience, however, were converging on an answer. Theorist Ken Wilber played a primary role in synthesizing many fields of research into a cohesive whole. If you examine most people over the course of a decade, you’ll observe little change in their development and behavior. Development implies a permanent change in the structure of your being including your body, brain, or consciousness. Just because you adopt a new habit doesn’t mean you have or will grow from it. If this new habit, however, changes you over time, it will facilitate your development. It’s all too easy to believe you’re developing when you’re not. I know I deluded myself for many years and there’s evidence of this throughout personal development communities. Reading books in this genre, for example, doesn’t mean you’re developing. Personal development books might provide a roadmap for development in certain areas, but real development comes through practice and repetition. Our behavior and the display of skills and aptitudes are where we can observe signs of permanent change. Also, it’s far easier for a someone else to assess these changes than to measure them for ourselves. Self-help implies there’s something wrong with us. The self-help industry profits by subconsciously communicating these “deficiencies” to its unsuspecting audience. Actual personal development is how humans realize more of their innate potential. In an ideal environment, this process happens naturally. Because this perfect environment doesn’t exist in society, the call for personal development is an individual’s choice. In my experience, I’ve found it helps to take an integrated approach to your Personal Development Plan. That is, know your menu of options so you can select from multiple areas that interest you. Let’s look at each of these categories in more detail. While we used to associate “intelligence” with IQ; we now know there are many forms of intelligence. One popular model comes from the pioneering work of Harvard psychologist Howard Gardner and his Multiple Intelligence theory. Logical-mathematical intelligence: logic, abstractions, reasoning, numbers and critical thinking. This intelligence is associated to IQ and intellectual aptitude. This line is also referred to as cognitive intelligence as explored in Jean Piaget’s research. Linguistic intelligence: words, languages, reading, writing, telling stories and memorizing words. Intrapersonal intelligence: to know thyself including one’s strengths and weaknesses, emotional triggers and motivations. One’s ability to be introspective and self-reflective. Kinesthetic intelligence: one’s ability to control one’s body and one’s skill in using it. Also called body intelligence or body-mind connection. Musical intelligence: sensitivity to sounds, pitch, rhythms, tones, meter, melody, and so on. Visual-spatial intelligence: spatial judgment and the ability to visualize and imagine with the mind’s eye. Interpersonal intelligence: sensitivity to others’ moods, feelings, temperaments, motivations, and their ability to cooperate with others. Psychologist Daniel Goleman popularized this as Emotional Intelligence and Social Intelligence. Naturalistic intelligence: sensitivity to one’s environment; the ability to recognize flora and fauna; nurturing and relating to one’s natural surroundings. Existential intelligence: sometimes called spiritual intelligence; relates to one’s understanding of themselves in relation to reality or the cosmos. Other developmental researchers have studied the stages of growth in morals, values, worldviews, emotions, contemplation, spirituality, needs, and psycho-sexual development. Do you see the diverse range of our potential? We each have a different base level of development in each line of intelligence and an innate potential we can realize through practice. Our environment often thwarts this potential in early childhood. As adults, our responsibility is to resume this upward march. Skill development is a broad category that includes areas where you can show ability. You can develop skills for personal or professional reasons. There are skills in communicating, creative problem-solving, collaborating, computer programming, bookkeeping, analyzing, persuading, negotiating, learning, presenting, goal setting, listening, managing, planning, reasoning, predicting, to name only a few. 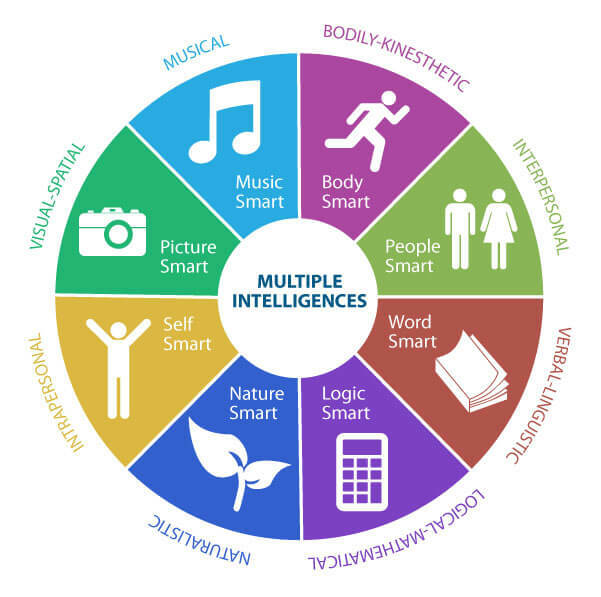 All skills are associated with at least one line of intelligence (above). With sufficient practice and the right methods, individuals can develop any skill. One way to get more clarity on your natural skills is to take the free VIA Character Strength survey. Your natural strengths often translate to specific skills. In your pursuit of personal development, you may have come across the Wheel of Life. The Wheel of Life is a tool a coach uses to illustrate the various categories of one’s life, measure how an individual is doing in each area, and set goals to improve in those areas. Your wheel might include physical health, relationships, social, financial, professional, personal growth, spiritual, creativity, fun, and emotional. The message behind the Wheel of Life is that development occurs through conscious effort and being intentional about how you grow within these areas. Who doesn’t have behaviors they would like to change? We all have set patterns of behavior that get entrenched by unconscious repetition. Changing these habits requires repatterning the brain. For lasting change to occur, we repeat the new habit or behavior over time under various circumstances. The time necessary to install a new habit varies; research suggests it takes 66 days on average. Research shows there is a range of psychological types. In the Enneagram system, there are nine primary types and nine levels of development within each one. Each type has varying propensities, habitual patterns, strengths and weakness, fears and potentials. If you want to create an effective Personal Development Plan, be sure you’re aware of your psychological type. Each type has a different pathway to higher development. As a business coach to high-performing entrepreneurs for the last two decades, I’ve taken and used most (if not all) the personality tests on the market, including popular ones like DISC and Myers-Briggs. In my opinion, the Enneagram is far more efficacious, robust, and useful. You can take a free Enneagram test here. If you wish to take a scientifically-validated version of the test, go to the Enneagram Institute website ($12). If you’re interested in pursuing this further, I recommend Riso and Hudson’s books, The Wisdom of the Enneagram and Personality Types. By now your mind is reeling with possibilities. Consider what the above information means about your potential: Developing any line of intelligence gives you greater sensitivity about the world around you. You can now process information in new and deeper ways. We are more awake than before. We have greater sensitivity to the world around us. Our possibilities are remarkable to ponder. Now, it’s time to cast your vision for your future self. Nietzsche believed it was our destiny to be Ubermensch or Superman. An Ubermensch is an integrated or whole human being accessing his full potential. Maslow called this stage of development self-actualization and self-transcendence. Your vision (and personal development goals) will inspire you if it is true to who you are. Sometimes we create a vision based on what we should want or what we hope will gain approval from others (our parents, significant others, colleagues, friends). Such a vision will lack inspiration and will feel meaningless. So before you cast your vision for your development, find your center and enter a state of mastery first. In Step 1, you got to see a diverse range of options available to you. Learning about these options can be exciting, but it can also be overwhelming. If you nailed your vision in Step 2, you have more clarity. Now, depending on your level of clarity, Step 3 can either be the easiest or the most difficult part of this process. But even when you have a compelling vision for your future self, selecting areas of development to focus on can challenge you because you have limited time and countless options. We can’t do it all. And creating an aggressive Personal Development Plan with many goals will backfire. I can attest to this from personal experience. An aggressive plan will create additional resistance that undermines your efforts. Over-planning sets you up for failure and discouragement. Eventually, you will abandon your plan. We’ll discuss scheduling in Step 6, but consider how much time you have available to invest in your development. Let’s say you only have 30 minutes a day. Is it reasonable to expect to make significant changes in six areas of your life within six months? Developing most new skills, for example, may take a minimum of 15 minutes of daily practice. To set yourself up for success, I recommend picking up to three areas to focus on within a 90 day period. Where should you start? Select the areas that interest you the most. You’ll learn faster in these areas and have an easier time staying engaged with your practice. So the question is: What’s most important to you right now? What are the areas you are most interested in developing now? To help answer these questions, it helps to know your personal values. Be aware of the tendency to overthink the selection process. Better to dive into something for a month or two and then determine it’s not for you than to analyze your options. Analysis, as the saying goes, often leads to paralysis. 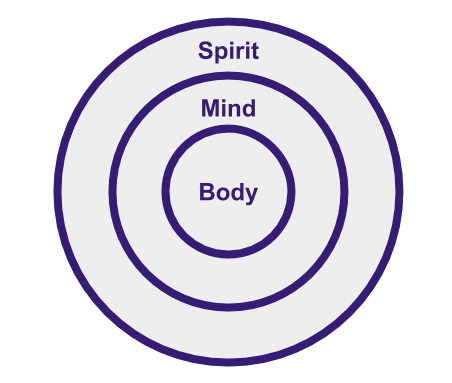 If you’re still having trouble deciding, go with the classic categories of Body, Mind, and Spirit. For Body, pick an area that interests you like strength training, stamina, and aerobics. For Mind, select one to three topics you want to explore. Read relevant books for each one. And for Spirit, consider focusing on gratitude, acceptance, kindness, compassion, and selfless service. I also recommend you include shadow work as part of any integrated program. While everyone is different and will create their plan to suit their needs, there are certain areas I believe to be foundational (for at least most people). Cognitive intelligence. Research shows that cognition is “necessary but insufficient” for other lines of development. Just because you have well-development cognition doesn’t mean you’ll be moral intelligence. One way to improve your cognition is to read books that challenge you. Emotional intelligence (EI). EI is, in my opinion, as important as cognitive development. EI relates to your physical and mental health, the quality of your relationships, and even your leadership abilities. One way to grow your emotional intelligence is by practicing mindfulness meditation. Another way is to practice shadow work. Intrapersonal intelligence. Your level of self-awareness and knowledge of yourself influences your behavior, moral development, and psychological development. The Enneagram psychological system can support intrapersonal intelligence. Another way is to practice self-reflection and journaling. Kinesthetic intelligence. Your awareness of your body defines the degree of your connection to your instinctive self. The more connected you are, the more mental balance you experience (and vice versa). You can grow your body intelligence through practices like Yoga and Qigong. You can also use centering exercises, grounding techniques, and Zhan Zhuang to increase body awareness. Of course, there are other important aspects of your development. I singled out these four because they influence so much of our behaviors and decisions. Also, many of us are unaware of the profound role they play in our life experiences. One thing I’ve observed in working with high-performing individuals is they tend to focus only on professional goals. Many of us want to profit from our self-development plan. And there’s nothing wrong with that. Developing your abilities and talents should make you more marketable and of greater value to others. But watch the tendency to invest exclusively in this area, denying other aspects of yourself that are still important to you. If you create a diverse Personal Development Plan, you’ll increase your chances of actualizing all of it. Excellent books like Daniel Coyle’s The Talent Code (audiobook) and Anders Ericsson’s Peak: The New Science of Expertise (audiobook) show that talent isn’t born but cultivated through deliberate practice. Once you have selected the areas of your Personal Development Plan, the next step is to determine your practices. These practices are the actions you are committing to doing consistently to develop in your particular areas of interest. For example, if you want to improve your writing, write at least 1,000 words every day. Want to learn to play the guitar? Pick up your guitar for at least 15 minutes every evening. Want to increase your strength? Determine your training routine and follow through three days per week. You may not know what practices to follow in the beginning. At first, you’ll research different topics through books and articles. This exploration will help you to pick your practices. You may also consider hiring a coach or trainer to help you establish your practices. Besides the books recommended above, I also suggest picking up a copy of Coyle’s The Little Book of Talent for 50 great tips on how to improve your skills. Or, check out Derek Sivers’ book summary. Another common mistake people make with their Personal Development Plan is to set big goals. Big goals are useful for businesses but suboptimal for your self-development plan. A big goal might be to master a particular instrument within 12 months. Such a goal will go unrealized. To win the battle for your development in the war of distraction, set mini goals. Mini goals help you build momentum because they’re more readily achievable than big goals. Have a big vision, but only set mini personal development goals that are fun and engaging. Instead of mastering an instrument, for example, perhaps you establish a mini goal like to learn how to read sheet music or to play The Beatles’s Let it Be without effort. These types of personal development goals will inspire your practice. Once you know your practices, ensure you block off sufficient time for making progress. It’s easy to underestimate how long things take. We get too ambitious with our scheduling and aren’t grounded in reality. We don’t honor our calendar unless it involves other people. Time scheduled for ourselves is the first thing to get bumped. So first ask, How much time can I reasonably commit to my personal development plan? The question isn’t what you should do; it’s what you think is reasonable and practical in the course of your busy life. This infographic from Inc. illustrates how 500 chief-level executives spend their day. The average business leader invests 30 minutes a day in personal development—right before bed. You don’t have to interrupt your work/life flow to jump into your practices. The key is to find times where you can be consistent and then establish a daily rhythm with your practice. This way you don’t have to make a daily decision of whether to practice. You just practice! Just 10 to 15 minutes is sufficient when you have a busy schedule. On the weekends, you may carve out additional time. Feedback facilitates the learning process. Athletes and musicians excel when they have experienced coaches to provide the right practices and effective feedback. In Daniel Coyle’s research on exceptional talent, he found that having a masterful coach was one of the common denominators for producing talent. One reason many people fail to develop is a fixed mindset. Individuals with a fixed mindset want to avoid looking foolish or stupid more than learning. They evade any constructive or critical feedback from others. In contrast, someone on the path to self-mastery accepts failure and mistakes as part of the learning process. In The Art of Learning (audiobook), chess master and tai chi champion Josh Waitzkin explains how he became a tai chi champion by challenging superior opponents. Instead of sparring with opponents of equal ability, he sought more skilled martial artists. He was often defeated, but he learned quickly. Other than outside feedback, the other key to monitoring your progress is to increase your awareness as you practice. The goal is to become as present with your practice. (To assist in this process, try using something like The Mastery Method to increase your mental alertness and self-awareness. When you bring more awareness to your practice, you ignite an internal feedback loop that facilitates faster learning. One way to develop greater awareness is through mind training. Breathing techniques and meditation help develop parts of the brain (prefrontal cortex region) associated with awareness. It’s also important to enter a state of mastery before you practice. It only takes a minute or two, and it will speed up your results. Finally, check in with your Personal Development Plan. Scan it weekly and revisit it each month to see if there are any adjusts you want to make. Are you making progress toward your personal development goals? It’s important to keep your Personal Development Plan simple and concise. The more complicated and robust your plan becomes, the less likely you are to follow through. I used to help my clients create elaborate results plan that often grew into large report-sized documents. We found they were less functional the bigger they became. Keep your plan to a single page if possible. A one-page plan makes it easy for you to check in often. I keep my plan on my desk and in a Google Doc. A 10-second glance at the document is often all I need. All of this information can fit on a single page template. It will take effort to set up your plan, but once you do, it requires little energy to maintain and update. Ready? It’s time to create your own Personal Development Plan. From my experience, the most neglected step in the process of creating a Personal Development Plan is understanding the terrain of human potential. Here are a series of books that opened my mind to greater possibilities. Integral Life Practice: A 21st-Century Blueprint for Physical Health, Emotional Balance, Mental Clarity, and Spiritual Awakening by Ken Wilber, et al.